1. 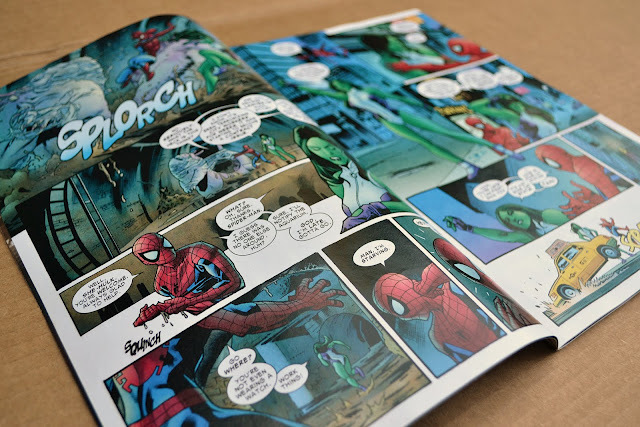 Cut out your favourite scenes from your comic book. Position them where you would like them to go on your shoes, and then cover the back of the picture with Mod Podge. 2. 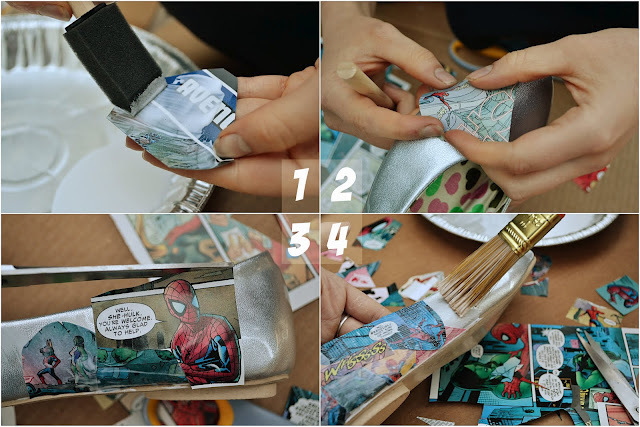 Paste the comic book clipping onto the shoe, and press it down so it is smooth. 3. Trim off any excess clipping, or fold it over the edge of the shoe. 4. 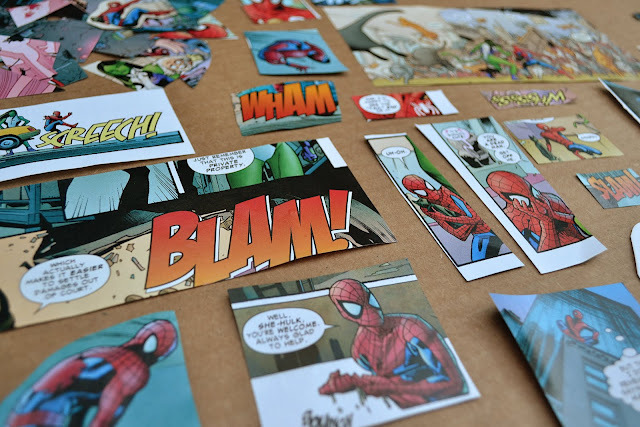 Put a layer of Mod Podge over the comic book clipping. 5. 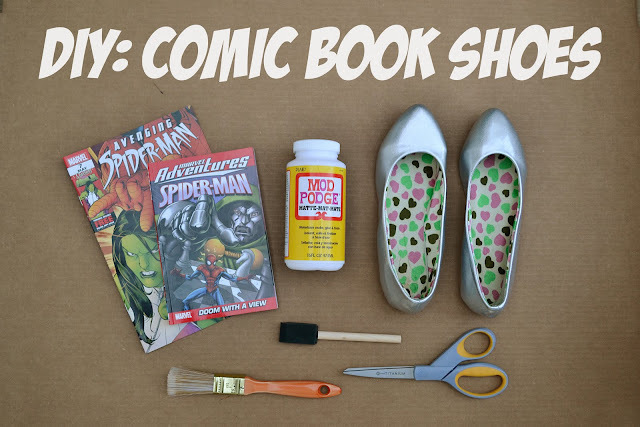 Continue this process until the shoes are completely covered with comic strips. 6. Once the Mod Podge has dried, apply three more layers (letting each layer dry before starting the next). Note: This is a time consuming project. Give yourself at least an hour and a half for each shoe. All photos are not mine. They are from psheart.blogspot.ca. Credits to the owner. Oh my golly gooosshh!!!! This is the best idea ever! You are absolutely brilliant, thank you so much for sharing this DIY. I'm going to give this a try and then maybe consider matching a clutch. Great idea and a nice end result! lovely ! but guess they won;t be waterproof ? I wish you knew how much i love your blog and your inspiring ideas! 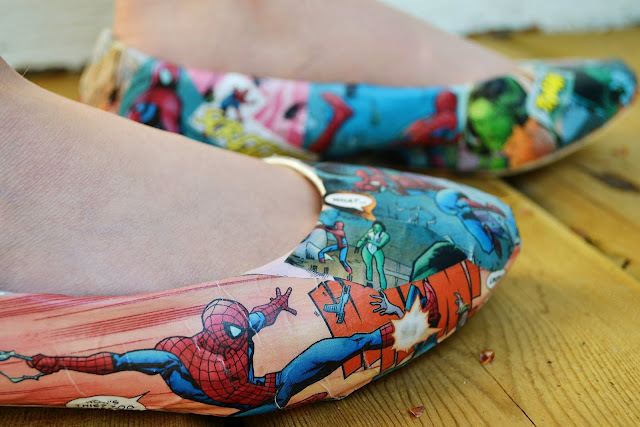 i love these flats, they're so so cute!! but its kinda hard to do! So cute and inspiring! My kiddo is going as a superhero for Halloween and I need to make these shoes to subtly match her, lol. 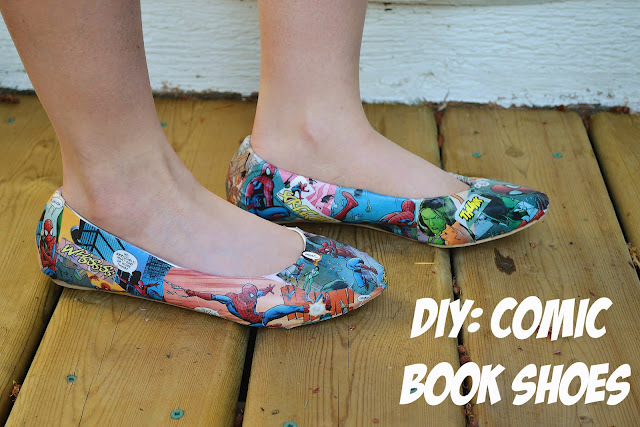 wow i never thought of book shoes... very original nd creative... love it!